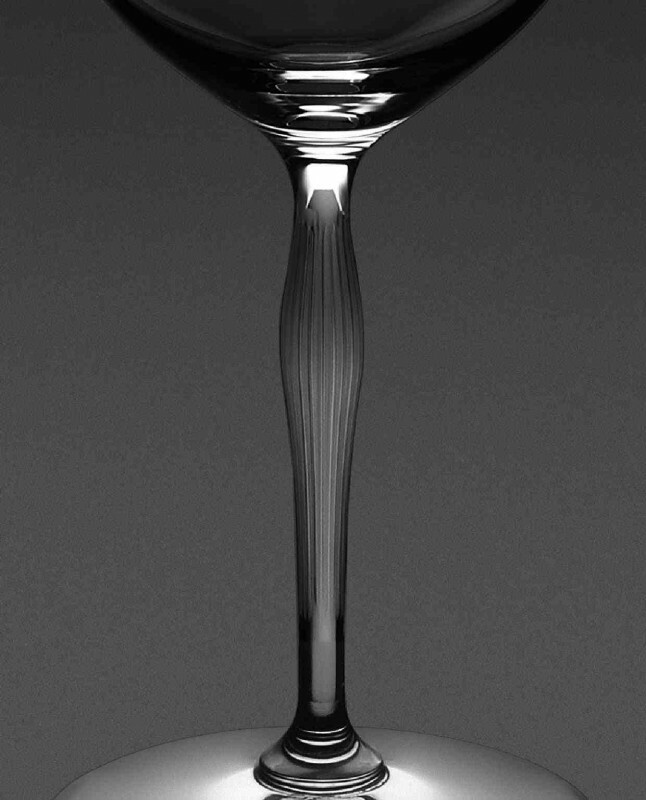 You are currently browsing the archives for the tag 'rené lalique'. This week during Maison & Objet Salon in Paris, Lalique and Steinway have announced the launch of Masque de Femme, a new piano – a work of unique and customized art – designed by the famous French crystal maker. Nature’s beauty and structure have always informed great design. Lalique worked on an elegant design for Masque de Femme focusing on two of its iconic motifs, ‘Coutard’ and ‘Masque de Femme’. The Coutard design was created by René Lalique in 1935 for the famous Coutard fountain and represents a geometric motif of water droplets evoking both the Art Nouveau and Art Deco genres through restrained symmetry and shape. To adorn the same fountain, René Lalique created the Masque de Femme pattern inspired by his love of women and nature. This design is a classic and avant-garde work of art that reveals the face of the mysterious nymph, Arethusa surrounded by aquatic life. In total, 1043 individual Lalique crystals adorn the Masque de Femme piano: – 1025 black crystal Coutard cabochons – 2 Masque de Femme panels: 80×80 mm – 2 Masque de Femme panels: 30×30 mm – 2 Swallow panels – 12 Coutard panels (4 on each leg of the piano). To make an instrument that combines the best of Steinway & Sons and Lalique, its artisans had to be extremely meticulous. 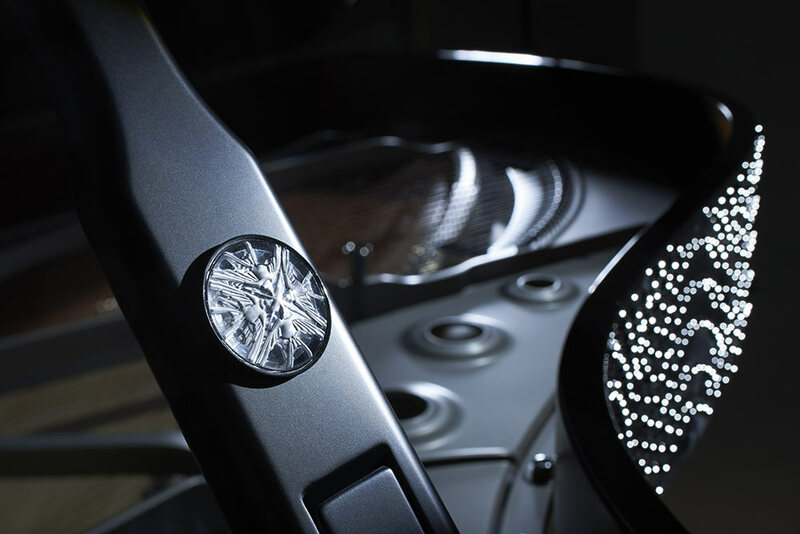 Requiring two years of development to perfect the exact techniques needed to ally the crystal and traditional materials of Steinway, this piano took over 500 hours of work to install the crystal elements alone. 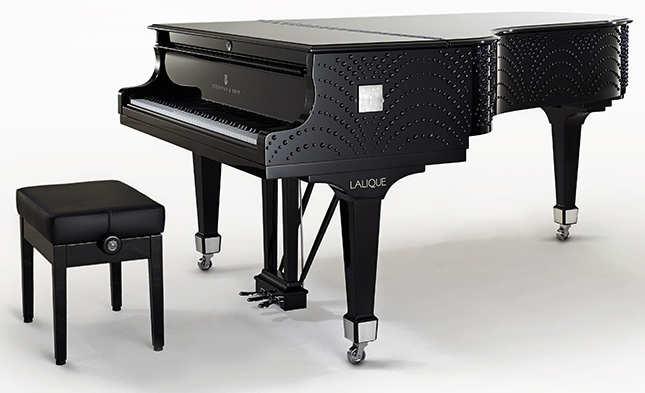 Each Coutard cabochon perfectly blends with the piano, like drops of water that come alive on the black lacquer with an elegantly restrained tactile quality. 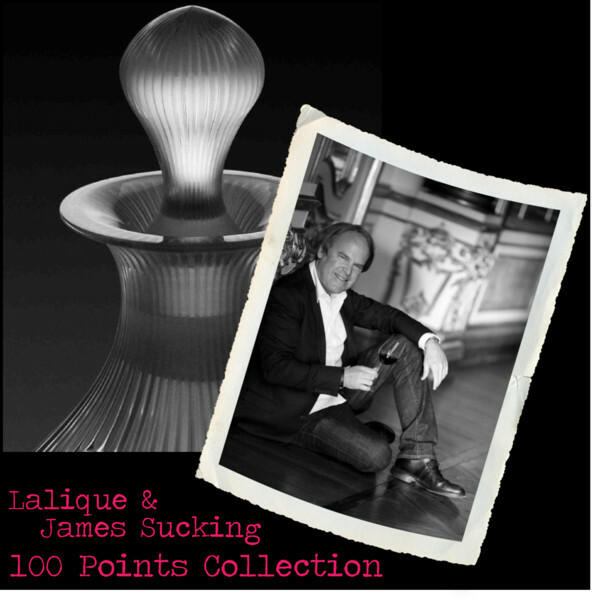 Each crystal has been worked, shaped, cut, polished and signed at the Lalique factory in Alsace and then placed on the piano in the workshops of Steinway & Sons in Hamburg. This magnificent grand piano (Steinway Model B) is a wonderfully balanced and versatile piano that does extremely well in intimate settings, teaching studios and mid-sized venues. 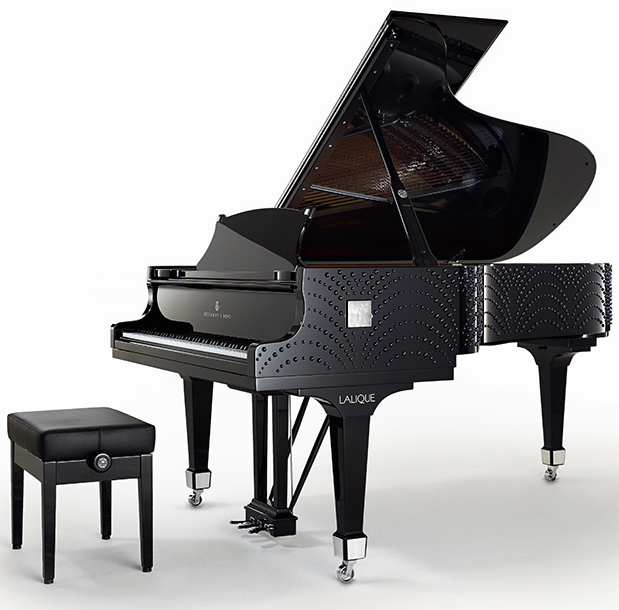 The Model B is the favourite grand piano among private customers. Dimensions: Length 211cm x Width 148cm. 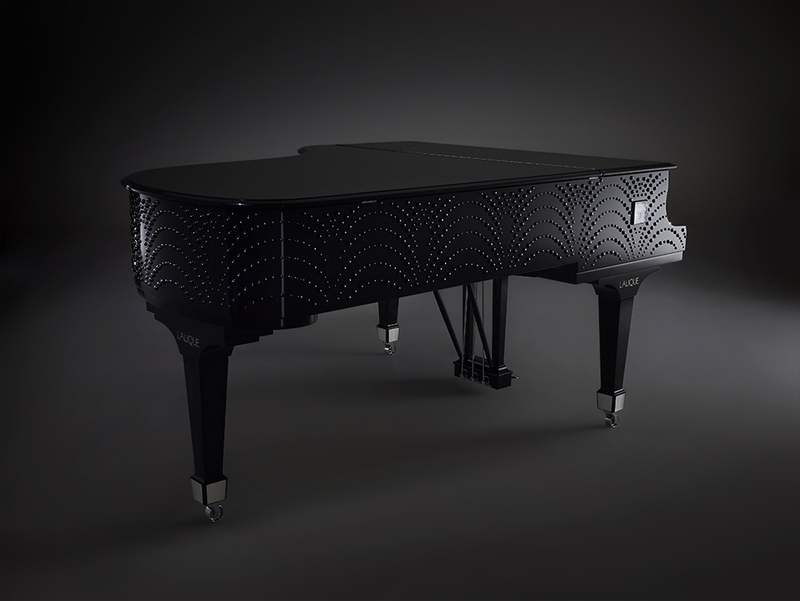 The piano, available in black, will be taken on a world tour in 2016 that will include concert dates with renowned artists. At the end of this global tour, the piano will be auctioned off. Most of you know how much I adore playing the piano and this piece of art would definitely make it even more fun. During the last days, I have been telling you all about the vibrant blue fashion trend. 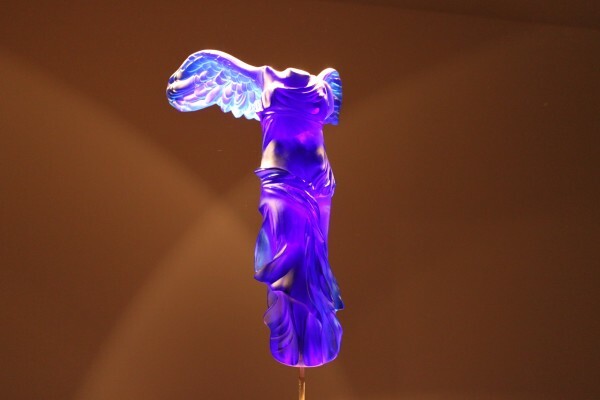 Here you see an art work that would match perfectly: Yves Klein’s Victoire de Samothrace by Lalique, 2011. 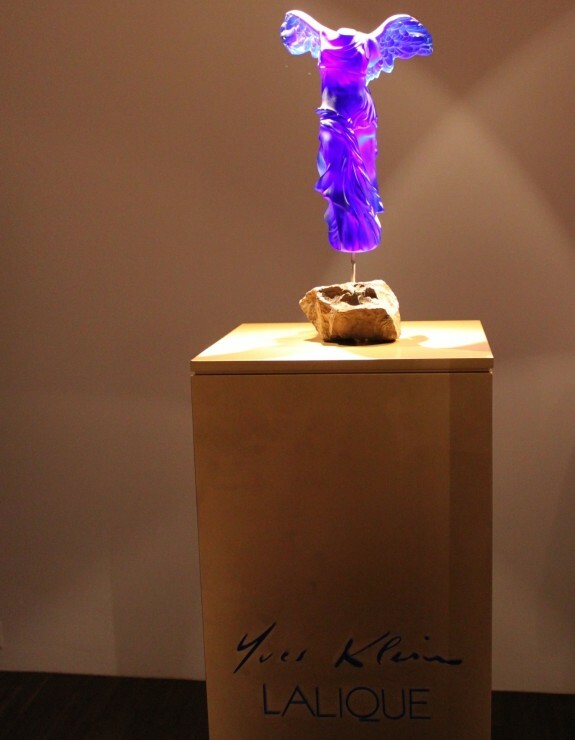 The sulpture is a limited edition of 83 crystal pieces, in tribute to the late artist Yves Klein who would have been 83 years old this year, combining two artistic approaches, the one of Lalique and the one of Klein. 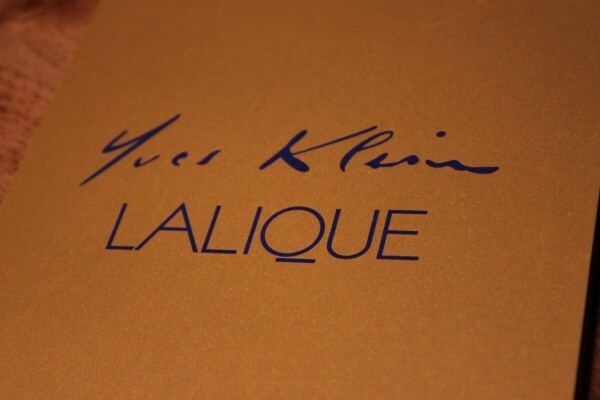 Yves Klein (1928-1962), inventor of the IKB (International Klein Blue), a distinctive ultramarine blue, is considered to be one of the most important protagonists of the post-war artistic avantgarde. René Lalique (1860-1945) was a major player of the Art Nouveau and subsequent Art Deco movement. 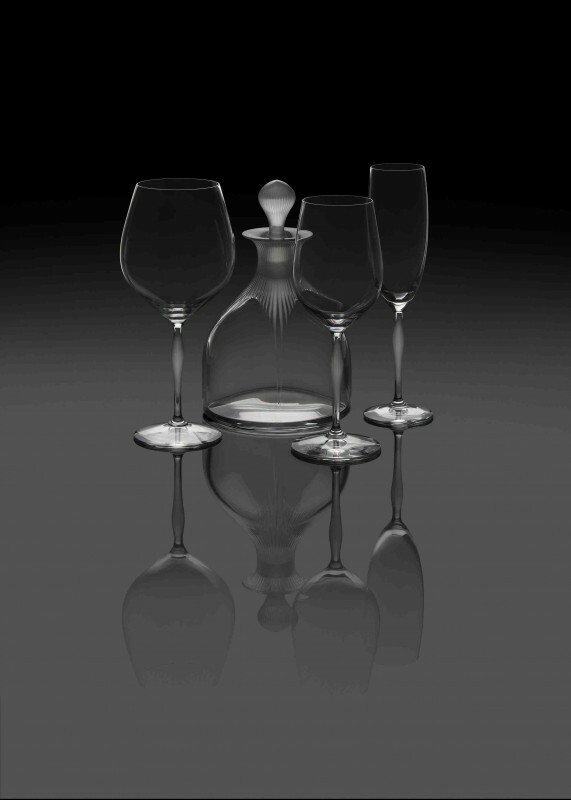 His perfume bottles and glass designs transformed the female shape into a sensuous and mysterious body within the decorative home. This weekend, I was invited to the private viewing at Galerie Gmurzynska. The sculpture is based on its namesake, an iconic work from Greek antiquity held in the Louvre, for which Klein obtained the moulds in 1962. 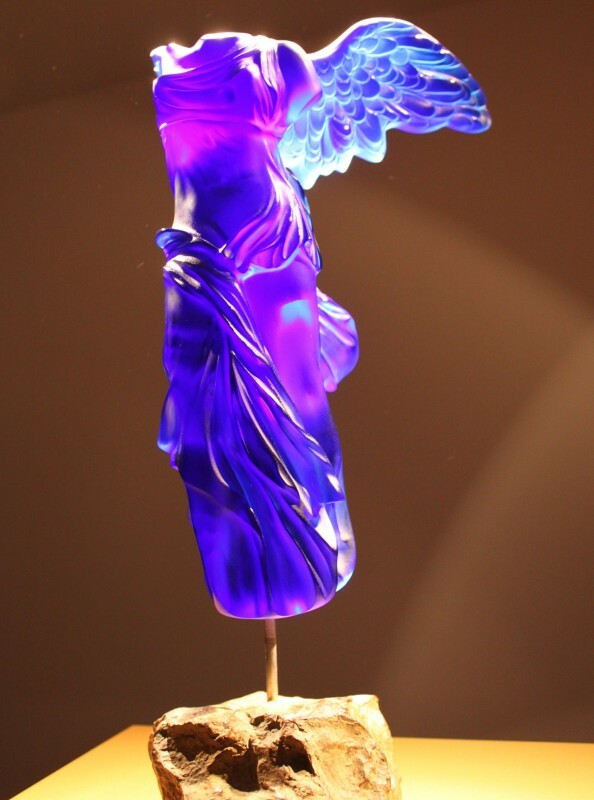 Lalique have recreated Victoire de Samothrace with the lost wax technique, which René Lalique used for his original jewellery creations. 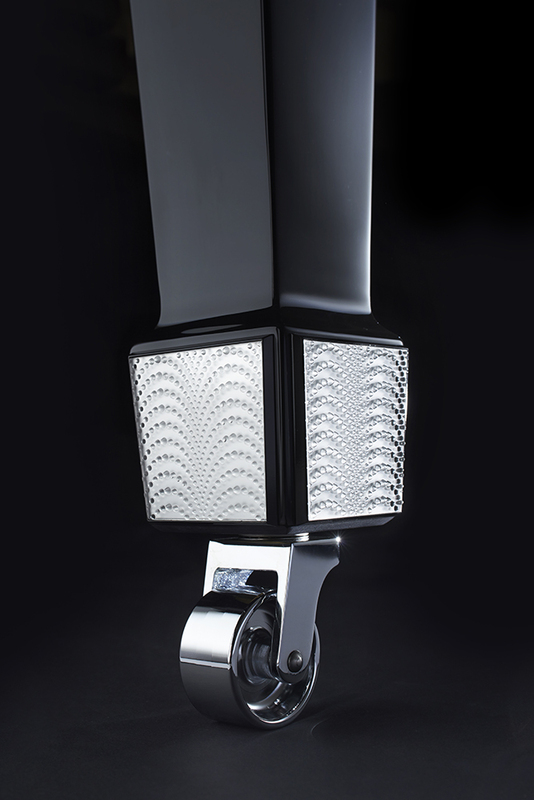 The works are individually crafted and sculptured by the master glassmakers, making each crystal edition unique.